Take a look at our adorable Franken-mutt above. 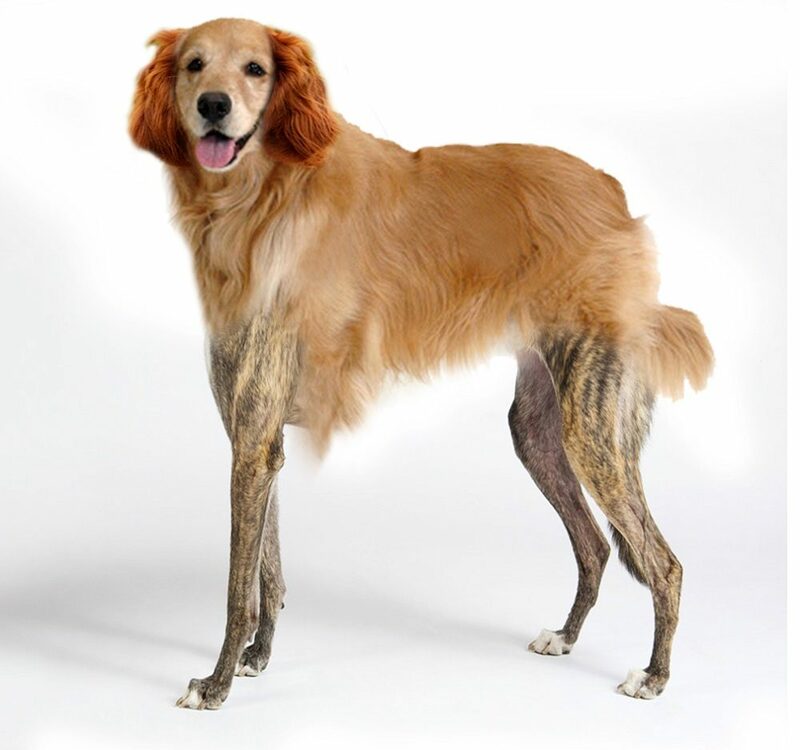 Now, the question is, can you name the three different dog breeds who's body parts were used to create this new breed? Well done! You certainly know your dog breeds. Want to know more about this dog? Pet insurer, Direct Line, spoke with over two thousand dog owners and asked them to choose their favourite breeds. Interestingly, they discovered that only half of Brits have a favourite dog breed and only a third of people own their preferred breed of dog. A quarter of people don’t own their favourite breed as it does not suit their lifestyle. Hard luck. Better get brushed up on your dog breed identification skills. #1 Legs: This breed’s legs come from which dog? #2 Ears: Which dog breed’s ears do you see? #3 Body, face & coat: Our Franken-mutt has the body, face and fur from which breed?